This week at Installation 01, we say goodbye to the cinematic trailer video banner. There's no reason to worry, though. You can still get blinded by the muzzle flashes of a machine gun turret if you scroll down to the about section of the homepage. It was just too good to remove completely. Now, here's yet another weekly update hot off the presses. It isn't quite as long or as detailed as the past couple of updates have been, but that's okay. Length doesn't matter. It's all about how you use it. Alongside this weekly update, we're releasing a Team Focus interview with 2D art lead Derek Huether. It was supposed to come out on Tuesday, but I forgot. So now you get a huge content dump all on the same day. Lucky you. You might know Derek from his drawings such as this one, which is actually one of the background options for your profile on the settings page. One thing you should know about Derek before jumping into this interview is that he has a lot to say, and doesn't get much of a chance to say it. The result is some great walls of text spilled out directly onto your computer (or phone) screen. You've been warned. Go give it a read. That's an order. And this order has extra dip. In case you've been living under a rock, or you just haven't joined our sweet Discord server yet for some reason, we're now an official Discord partner! Well, I'm glad you asked, unknown reader. It means we get cool improvements like a custom link, better voice quality, and a sweet little badge on the bottom of the website. You can find the same, classic recipe Discord server in its new packaging at https://discord.gg/installation01. Tell your family. Tell all your friends. Hell, even tell your enemies. Everyone is welcome to discuss the game and its development.  If you want to know more about the Discord partnership program you'll find all of the information your heart desires contained within this page on their website. Move over, Matthew Lake. There's a new animator in town. And his name is actually easily pronouncable, unlike most of the new team members that seem to be popping up left and right. It's Sully. Not from the Disney Pixar movie. I asked, they're not even related to each other. Sully will be working on first-person animations alongside AI and GOUST. 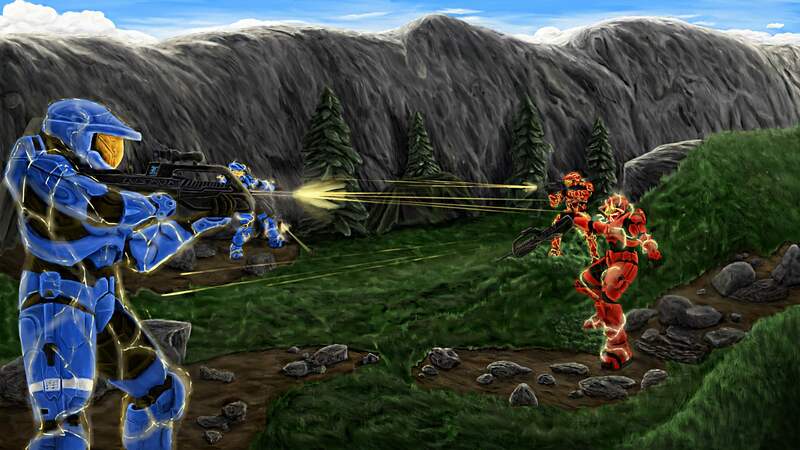 This plasma pistol charge shot is just one of the many WIP animations Sully is making. Matthew Lake actually does third-person animations, so he's safe this time around. This is the first time in a long time that someone didn't have to break into the office to get inside. He had a key to the front door. Not sure why or how, but he's doing solid work so I guess we might as well keep him. If he does really well we might even double or triple his pay. Usually we have a roundup of videos for the week, but nothing caught my eye quite like this masterpiece created by GOUST. Coming in at a lengthy 11 seconds, this video will change your life. It is the next generation of online video streaming content. I hope your body is ready. Nobody said it was against the rules to feature a video from our own development team. And they definitely didn't say we couldn't feature a review from PaleLebouf. Bean seems to have forgotten what time it is. I haven't gotten any pizza. I'm a growing boy, I need nutrition. Everybody knows that programmers turn caffeine and pizza into software. We're missing an important ingredient in the game development soup. 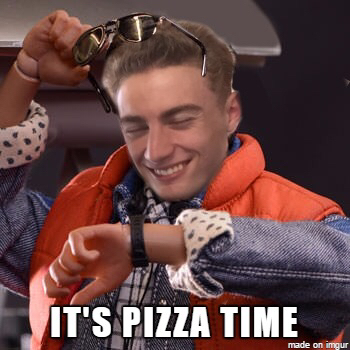 If you or a loved one has been diagnosed with Nopizzaitis, call our toll-free number: (117)-PIZZA-TIME. You can't spell nutrition without NUT. And just like that, the update is over. We've reached the end of the great journey. This is the part where I promise you candy if you come back next week. I thought we had leftovers from last Halloween, but unfortunately Bean ate all of it.